As the General Elections of 2019 inch closer, our anticipation and excitement levels for the new Prime Ministerial candidates has increased manifold. Who are the probable Prime Ministerial candidates for the 2019 elections? It’s the election year. 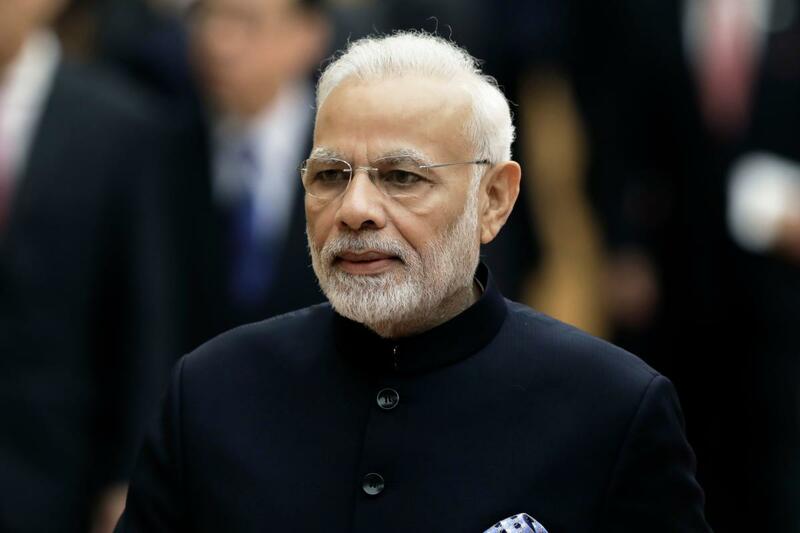 News outlets, think tanks and political experts are predicting the ‘Mood of the Nations’ and the answer to the question: Will Narendra Modi serve the nation as the PM of India? A bunch of online surveys conducted (The Times, Firstpost National Trust, DailyHunt, Nielson India) feel that there are pretty good chances of Modi becoming the Prime Minister again. On an average, more than half the Indian population (60%) will vote for Modi in upcoming Lok Sabha Elections 2019. However, not all’s good. While he’s the preferred choice as a PM in most northern states, he’ll have to work harder to win hearts in the South. As per the Firstpost National Trust, people in the southern states like Tamil Nadu, Andhra Pradesh, Kerala and Telangana have much greater trust in regional parties. For instance, when PM Modi visited Chennai in 2018, he was greeted with black balloons and flags saying ‘Modi Go Back’. Likewise, in February 2019 during his campaign rallies in Andhra Pradesh, Tamil Nadu and Karnataka, #ModiGoBack topped the trending list on Twitter. Same is the issue in NorthEast, where the primary reason for their displeasure is the Citizenship Amendment Bill. 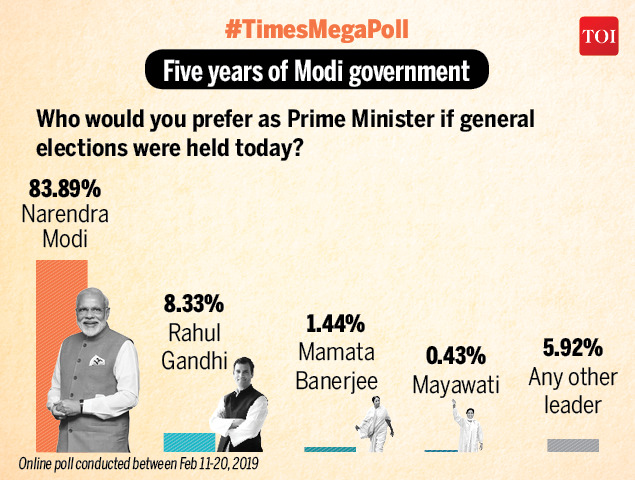 As per surveys, Rahul is the second preferred choice of PM for the voters after PM Modi. The lineage of the Gandhi family continues with Rahul Gandhi, who has since 2014 tried very hard to prove his mettle. With a legacy of almost 50 years ruling the nation, Rahul has the potential to be named as the PM candidate this time around. Though he has mentioned on several occasions that he is ready to be PM, his party doesn’t seem too keen on giving him this honour. In 2018, party announced that it won’t name Rahul Gandhi as the ministerial candidate. In fact, in an earlier statement, P Chidambaram had announced that Rahul would not be made PM if INC won the elections. 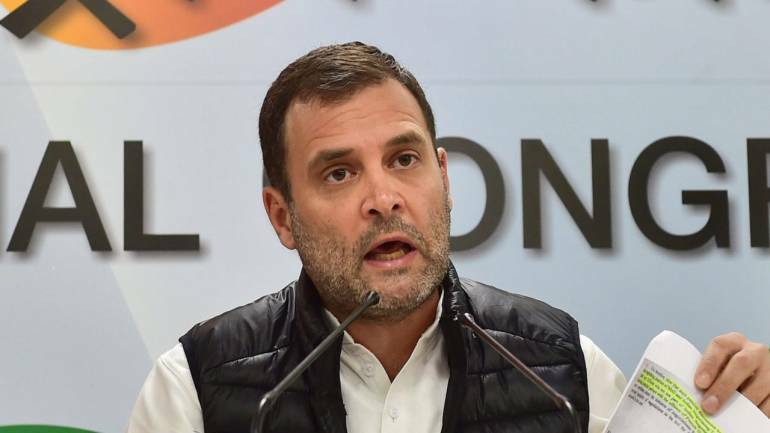 But, just a few days before the elections while campaigning in Amethi, his sister – Priyanka Gandhi – announced that it Congress wins, Rahul Gandhi will be the Prime Minister. This also comes as the first declaration by the Nehu-Gandhi family. Talks about having Shashi Tharoor, a senior Congress, as a Prime Minister began back in 2017 when an online petition on Change.org – for ‘Shashi Tharoor as India’s next Prime Minister’ – was carried out. We nominate Dr Shashi Tharoor to be the Prime Ministerial candidate of UPA in the run-up to 2019. In the best interest of the world’s largest democracy and to rejuvenate the opposition. Tharoor is a man well qualified with deep knowledge of international and national issues, who can connect with the people of India and with world leaders. It received 18600 supporters. 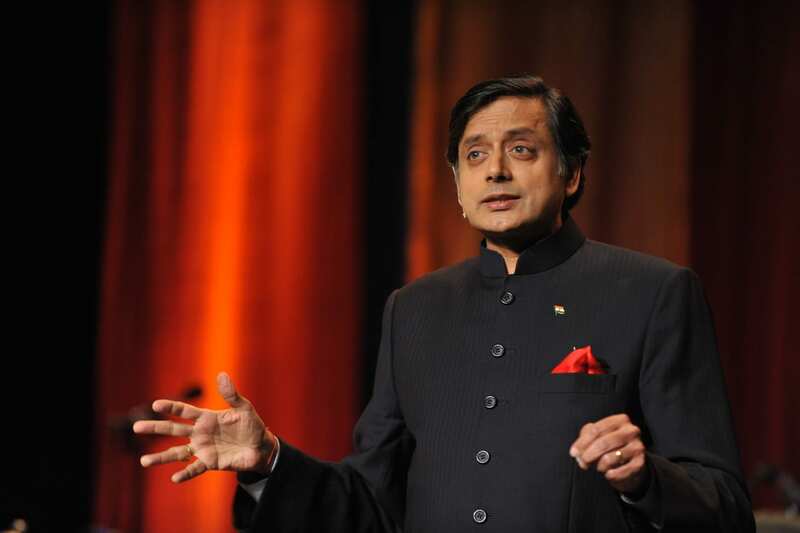 Having worked in the UN for more than 30 years and authored several books, Tharoor’s pragmatic and modern image which has so far worked best for him. Discouraging the campaign, Tharoor stated that he would continue to work for his constituency, Trivandrum – hinting his with not to stand as the PM. In 2019 too he emphasised that Rahul Gandhi will become the prime minister as he has all the right qualities to become an excellent prime minister. Plus, considering his mysterious involvement in the death of his wife – Sunanda Pushkar – he’s been a constant target of the opposition. But public demand for his candidature hasn’t died down. The people of Thiruvananthapuram are still vying to see him as PM. Mamata Banerjee has managed to secure a spot in the race for potential Prime Ministerial candidates. She has openly criticized the Modi government on a lot of policies which has helped mobilize the opposition to the same cause. The Trinamool Congress’ hold in West Bengal politics is very strong and it will take more than a Modi to impress the people of the state. Banerjee is also busy hobnobbing with the opposition leaders, accumulating their support. She recently met Sonia Gandhi and even Delhi Chief Minister Arvind Kejriwal to discuss certain matters. Surely, her opposition game seems to be on fleek. – Has the knack of connecting with people. Just a few months before Lok Sabha election, Congress announced the entry of Priyanka Gandhi into politics. In January 2019, she was appointed the party’s general secretary for the eastern block of Uttar Pradesh. Her entrance into politics is predicted to boost Congress’s image in the upcoming elections. She brings both – a strong resemblance of her grandmother Indira Gandhi (Indira factor 2.0) and female perspective into the party. Compared to her mother and her brother, she limited her participation publically but, helped the party behind the scene. On May 23rd May 2019 India will get its new Prime Minister. Till then stay tuned for more Lok Sabha articles and explainers. For something more fun, head to our Instagram.